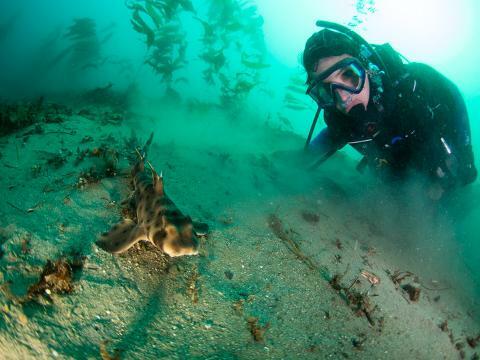 We love scuba diving in La Jolla. 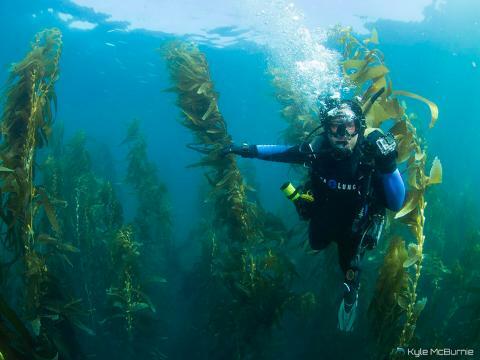 As your personal scuba guide, it’s our goal to show you how beautiful our San Diego waters are. From scuba diving the rocky reefs to the gorgeous kelp forests at La Jolla Cove, the La Jolla Ecological Reserve has it all – beautiful, diverse marine life and the chance of seeing something amazing. Beyond the unique events that bring leopard sharks, gray whales, market squid and grunions coming back year after year, the nutrient rich water at La Jolla Cove is always full of surprises. We’ve seen green turtles, sevengill sharks, giant black sea bass, soupfin sharks and even dolphin! Join us for our most popular scuba experience! 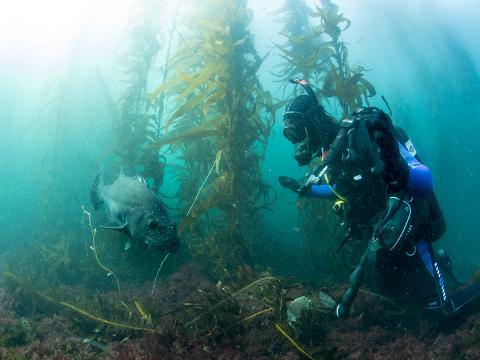 Spend the morning shore diving with us as we guide you on a 2-tank scuba dive to show you the best of both ecosystems in La Jolla – the rocky substrate of the reef and the wildly inhabited kelp forest. Beginning at 8am, we’ll start at La Jolla Cove. Say hello to the resident Sea Lion population lounging on the rocks as you descend to your first dive. The reef at La Jolla Cove is teeming with life. Keep your eyes peeled for Horn Sharks, Bat Rays and plenty of Garibaldi. After our first dive, you'll have a short break in the park where we encourage you to bring your own refreshments and relax before your second dive. 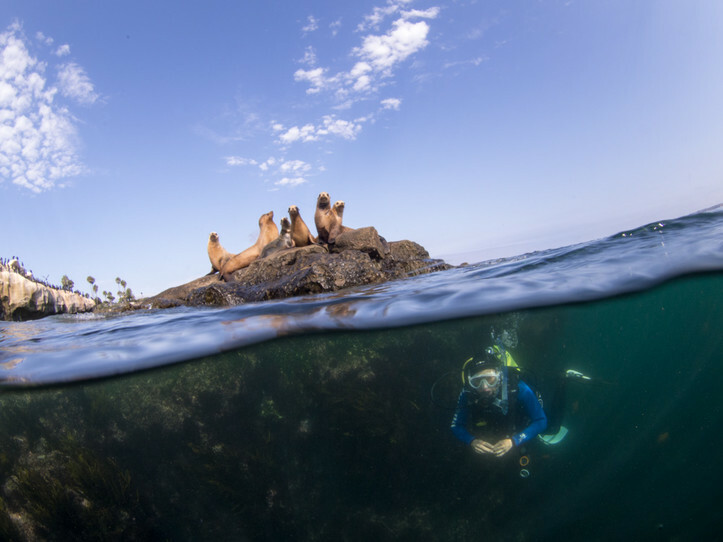 If you have never experienced a true kelp forest underwater, the second dive is a must. We’ll navigate through the breath-taking underwater forest while keeping our eyes out for all sorts of life: dozens of fish, harmless sharks, and even sea lions! 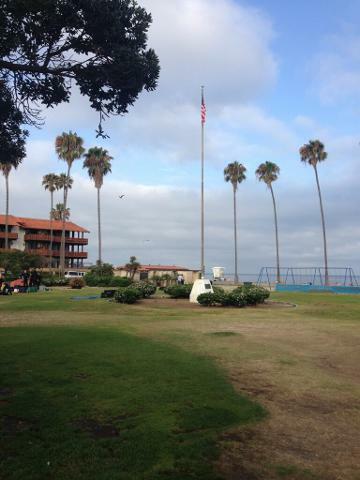 We’ll conclude our dive and leisurely return to the beach enjoying the beautiful views of La Jolla.